If you love Star Wars and embroidery, these are the patterns for you! Each of these free designs features favorite elements or quotes from the Skywalker saga, stretching from the original trilogy to more recent releases. The patterns are perfect for fans and embroiderers of all ages, and there's even some inspiration to use when working with coloring books as patterns! Many of these designs look especially good stitched on black fabric, so brush up on pattern marking techniques so you're ready to stitch on the dark side. Now, use the force and start stitching! Designed as a Valentine's Day gift, this free pattern features one of the most romantic moments in the Star Wars series. The artwork of Princess Leia and Han Solo is cute and casual, and it would make a great gift for your Star Wars-loving sweetheart. Frame and display it so they know that you love them. This video by artist Katie Bettini for Oh My Disney shows the entire process of stitching an adorable BB-8. Although they don't share the pattern, it gives you a great idea of how you could stitch your own when working from a Star Wars coloring book. Just trace the outlines and start filling in just like in the video! Want to stitch some super cute Star Wars elements? These Kawaii designs from Mollie Johanson of Wild Olive will make you smile just like the patterns you're stitching. The free collection includes a Death Star, a lightsaber, and a tauntaun from Hoth. They're perfect for making things for kids or for fans of both kawaii and Star Wars! 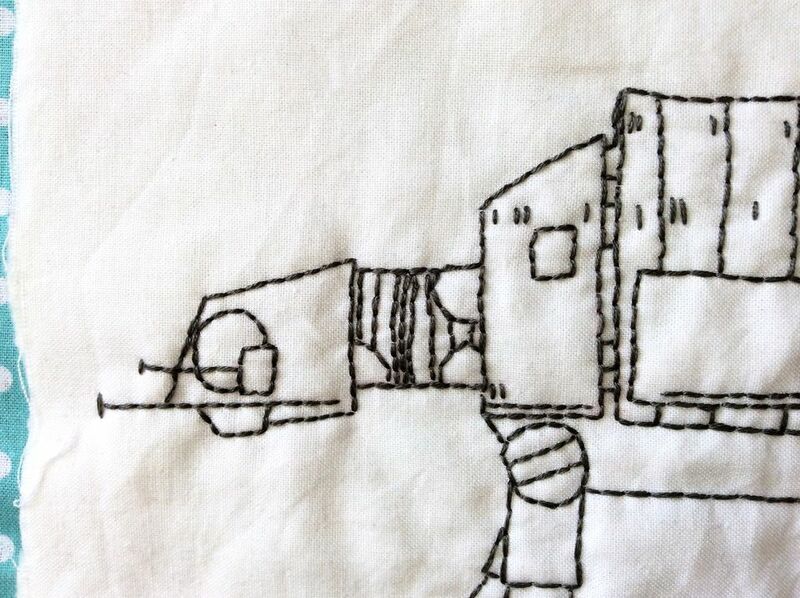 This fun project gives young Star Wars fans a chance to do some embroidery of their own! Brittanie from Simplistically Living shares printable patterns for Darth Vader, a Storm Trooper, and Boba Fett. She recommends pre-punching craft foam for kids to stitch through, but the same technique works on wood or heavy card stock, which means you can embroider one of these designs on the cover of a notebook! If you enjoy a little cross stitch with your embroidery, you'll love this Star Wars quote pattern! The tiny Darth Vader and Luke Skywalker are so cute, and it won't take long at all to complete. Designer Avozika also has a free pattern for another Darth quote: "I find your lack of faith disturbing." Get ready to jump into the biggest collection of free Star Wars embroidery patterns on the internet. With 16 designs to stitch, you'll have no trouble finding your child's favorite characters and even some ships! Geeknots embroidered each of the patterns and made them into a quilt, which you may want to do too after you see the finished project. Or choose just one, like this delightful AT-AT Walker, and make a pillow from a galaxy far, far away! With a reference to the Mos Eisley spaceport, this pattern is a great way to welcome people to your own "wretched hive of scum and villainy." It's designed in a traditional style, giving it a fun juxtaposition with the quote. Stitch one for yourself or make a housewarming gift for a friend!